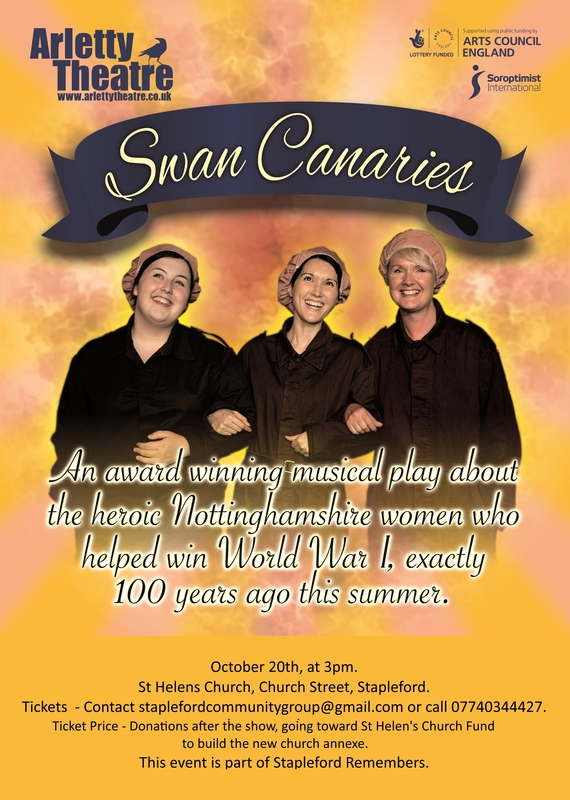 Go back in time to 1918, and join the Chilwell Canary Girls to experience the lives of these extraordinary Nottinghamshire heroes during World War I. Songs, a Tea Dance and the remarkable story of the Chilwell explosion. Suitable for 10+. Some loud noises & discussion of war. Tickets: email staplefordcommunitygroup@gmail.com or call 07740344427.